New Deco Breeze™ Portable Outdoor Electric Fans feature all-weather paint, coated with U/V Resistance, ETL "Wet Listed" safety rating. All-weather fan head cover is included. 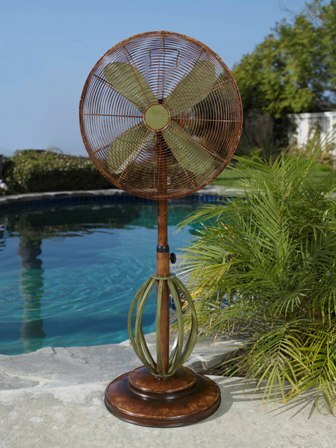 An optional, easy to assemble misting kit is also available when an outdoor fan is ordered. * Very well made, sturdy construction. These fans are built to last.